From my first impression these metrics seem to be measuring a number of totally incoherent dimensions like Holiday seasons (velocity variance anyone? ), lack of team ambition, sickness etc. Focusing on these dimensions seems to be counter productive. Any sane team being judged on these metrics would reduce their velocity to a point where variance becomes zero, avoid innovation and risks and all story points will be delivered and sprints become 100% predictable. The speed where these metrics are optimal is probably somewhere well below the optimum output of the team in question and thus results in wasted resources. From my experience any ‘performance metric’ based on story points is flawed as it will hurt performance or impede the actual value story points and velocity provide: aid in planning Agile development in the short and intermediate term and help predict ROI. Using story points as a performance metric usually results in either ‘story point inflation’ or wasted resources. The best way to get teams to perform and reach your goals is by measuring value delivered. Of course measuring this is hard (btw it shouldn’t be), but when you succeed it will pay off handsomely. It focuses all team members on maximizing the bottom line. This will result in the team stepping up to take ownership for the goals of your organisation and huge leaps forward in effectiveness. It does open up the vulnerability of short term gains in favor of long term sustainability, but this is remedied by making sure your teams contain members with a long term commitment to your operations. So which ‘metrics’, other than value delivered, could an outsider use to determine how teams are performing or where you could help them improve? Burndown. Does it follow the ideal path? Or is it a steep drop at the last day of the sprint? Overhead in preparing stories and time spent in poker sessions. In my experience these vary a lot. Participation and contribution of each single team member. Impediments – are they reported? Or is everybody just accepting the status quo? Please share your thoughts and experiences on topic in the comment section below. The Examination Board met on Tuesday 16 February 2016 to review the academic performance of EMBA15 participants. We are pleased to inform you that your grades have been ratified by the Board and that you have met all the academic criteria required for the award of Masters in Business Administration. We look forward to greeting you at the formal graduation ceremony on Friday 18 March 2016 where you will receive your diploma and graduation transcript. Please note that the graduation ceremony is the day you officially graduate and accordingly may use the degree and title conferred. For this reason we are not able to supply official transcripts or diplomas before that date. We will be providing you with the class ranking band soon after the graduation. One of the most exhilarating activities during the MBA were the in-class simulations. The direct head-to-head challenges either between teams or individuals are very exciting, and enjoyable if you are an adrenaline junkie. During the RSM EMBA we only had three instances where we were graded on these simulation sessions. The first was the Markstrat marketing simulation game. A game where we competed in teams against each other for the favor of the virtual customers. 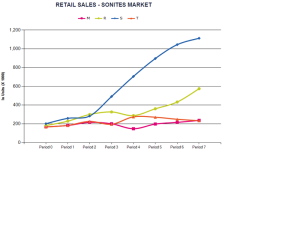 Our teams strategy, to dominate the low end market segment by “selling a ****load of Sonites” to the growing customer segments of Shoppers and Savers, worked out brilliantly. In a later stadium our team also succeeded in taking >50% of the market value share of the “professional” customer segment. 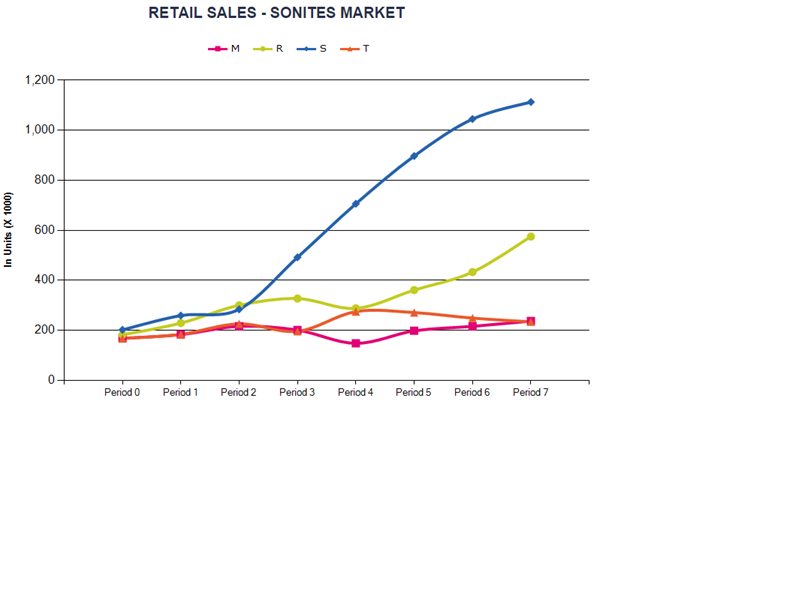 The blue line shows how our team’s strategy dominated the market in terms of sales volume. 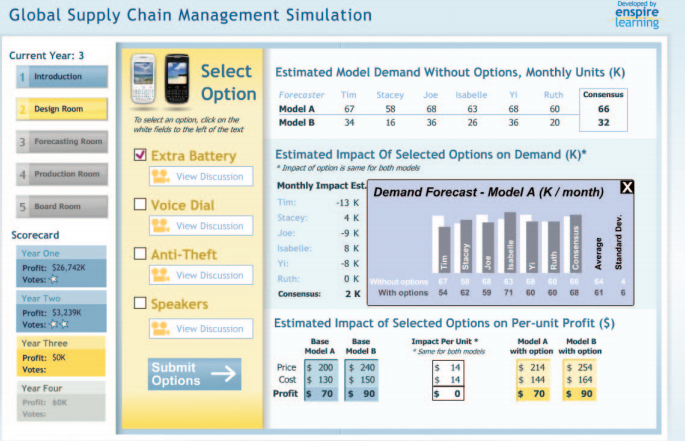 The second graded simulation was the global supply chain management simulation. It was an individual effort where my ego got hurt by Pedro Iriondo who took the first place ahead of me. 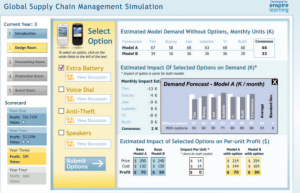 However the combination of Board questions and rapid fluctuations in customer demand and product options made the simulation an intense and fun exam even when losing. The third simulation was part of the course “Leading Strategic Business Change” and was called ExperienceChange. In this intense simulation I had the honor of leading the best team (out of 16). Important succes factors were our structured and efficient preparations that enabled us to go for a nice walk around campus between the prep session and the actual simulation. How to prepare for these events? Play a lot of RTS games. A gamers mindset is not only useful when engaging customers, it also trains skills in information processing, resource allocation and decision making. In addition it helps to have experience in programming as I found a bug in the Markstrat simulation that gave me a minor tactical advantage over the competition. Of course I reported the bug and how it could be reproduced in full accordance with the student code of conduct (it should be fixed by now). During my last project I was responsible, as a project manager, for implementing the open source search engine Elasticsearch and the crawler Nutch. It proved to be everything they promised and then some. To get the stemming of the Dutch content right we used a Brute force approach by using a synonym file for all the conjugations in the Dutch language (for details see the end of this post). The result can be viewed on op.nl. The job started with the client asking for the replacement of (part) of their web technology stack with open source solutions. They told me to deliver a solid business case and a POC for them to evaluate and take a decision whether to proceed with the implementation. During the evaluation we took a good look at all the existing solutions in place and found that the search solution was a good candidate for replacement. The existing license structure and cost associated made the use of the existing search solution undesirable for some functionality. This meant that the project, in addition to the license cost for the search solution, was implementing custom software to create functionality the search solution was supposed to fill. It proved to be possible to create a profitable business case around the implementation of a search engine and a web crawler. The web crawler is of course an undesirable technical workaround for the fact that not all content was available in a structured format or could be made available within a reasonable amount of time and budget. In addition the goal was to create a system that could easily assimilate more data from unstructured sources. Before we could start the POC we had to choose between the available open source search engines. For this purpose we applied the Open Source Maturity Model (OSMM) to the most prominent open source search engines: Elasticsearch and Solr. Both based on the search engine library Lucene. From the OSMM evaluation we learned both solutions were deemed ‘enterprise fit’ with a clear lead in maturity for Solr. However from our research into both systems we took the popular view that Elasticsearch was deemed more easy to use and built for the sort of scalability we were looking for. During the POC we established that the advertised ease of use in installing, feeding and querying Elasticsearch proved to be true. In addition we were able to ‘scale’ the system by simply starting another instance of Elasticsearch and both instances automatically started sharing their data and divide the work. During the POC we also setup the open source variant of puppet to be able to automatically provision new Elasticsearch nodes to increase performance or replace defective nodes. During the POC we also selected a web crawler for the search solution: Apache Nutch. OpenIndex was selected for implementing this part of the solution and did a brilliant job of configuring the crawler and implementing the interface between Elasticsearch and Nutch 1.x. The only hiccup worth mentioning was when we started to evaluate the quality of the search results. We found that non of the traditional stemming algorithms for the Dutch language (compared to English a bit irregular) could meet our quality goals. Fortunately I thought of a better way to approach the problem: Brute Force. I created a file which contained a line for each word, and all its conjugations, in the Dutch language. We added this file (which contained ~110K lines) as a list of synonyms in Elasticsearch to be used on index time. In spite of the reservations of some of the experts I consulted, this approach works superbly. The quality goal we set was easily reached. The only significant drawback was the increase in the size of the index (about 50%). As we did not hit the RAM memory limit, the performance of our Elasticsearch cluster was not negatively impacted. Consulting leader, talent partner of consulting and the learning manager. Thank you for the faith you have placed in me by sponsoring my tuition fee and giving me time off to study. I already started working on my application for a position in the class of 2015. My application essays will follow shortly please come back later to provide me with feedback. Find a new project or client. Create an Iphone timesheet app for Deloitte NL. By now I finished all my chores and thought it might be nice to make good on my promise of blogging something about my career and share some thoughts with you. My career in IT started when I received a phone call from the Royal Dutch air-force telling me I failed the very last test: An allergy test. No fighterpilot training for me. Fortunately my mother had insisted I enroll in a bachelor program I chose software engineering as a major, moved to live on my own and had an excellent time with some high school chums. Then reality broke in and I had to decide on an internship. This was in the period of the dot-com bust and in that period I saw web “scripting” as something for people without real programming skills. So i decided to test my skills in computer vision and applied for an internship at Urenco. With the logical outcome that I ended up at Stentec building a tool for importing 3D objects into their DirectX simulation engine for Sail simulator 4.0. After deciding that game development, although a worthy occupation, was too small a niche in The Netherlands to base a solid career on, I tried out for technical software development. I moved to Eindhoven and worked on Motion Control software which proved to be incredibly boring. At first sight it seemed to me like playing with Lego Technics, unfortunately this is only a very small part of the job. Fundamental technology research might not be the best career fit, but with the combination of your engineering and communication skills I foresee a bright future in consulting. Luckily for me I had already come to that conclusion and secured a job as Business Analyst (= junior consultant) at Deloitte Consulting. Where I had a lightning start and was staffed on a web project within my first month, never to return to the beach. Until now. I worked for a very diverse set of clients from consumer business to public sector and from telecom to education and the financial services industry. They al had one thing in common: they manage their online content in SDL Tridion. Projects ranged from e-commerce optimizations to content aggregation and included assessments, implementation advice, troubleshooting and a project salvage operation. Next to my client work I started blogging about SDL Tridion somewhere around september 2008. Back in those days there were almost no public sources of information about Tridion. Luckily that changed slowly and now the online SDL Tridion community seems to be thriving. The blog delivered me two clients who contacted me directly via the contact form and a lot of exposure to the rest of the community and clients at large. 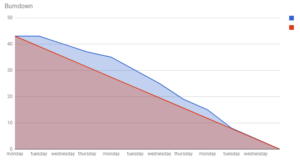 My blogging frequency has dropped to an all-time low which is something I regret. Perhaps I will pick it up again in the near future as I am working on a very interesting project in a part of the CXM technology stack other then content management. In my spare time I used to fly gliders competitively. Unfortunately I have chosen to stop competing as the time needed for a decent ranking was more then I was willing to invest. Without the competition element gliding has gradually lost my interest and by now my instructors and pilot licence are expired. My technical background (2x computer science bachelor & Msc in algorithms and datastructures) has served me well. However I am discovering that in my current role I am expected to shift my focus from solving technical problems to solving business problems. My formal education gave me the ability to excel in analyzing and solving complex problems. Unfortunately it did not give a lot of reference and tools on how to apply these skills effectively to business problems. Fortunately my employer thought ahead and encourages young (ahum) ambitious personnel to apply for sponsorship of post graduate education. I figured that an MBA might just be what I need to fill my head with new business tools and methodologies. The education of my choice is an EMBA at the Rotterdam School of Management . I talked to a recent graduate (and their posterboy) Wing Lee who was positive about the experience and felt it had been worth the investment in both time and lost opportunities. Currently I am in the process of getting my Business Case approved by the senior management of my service area as Deloitte sponsors tuition fees and grants some paid leave to selected candidates. 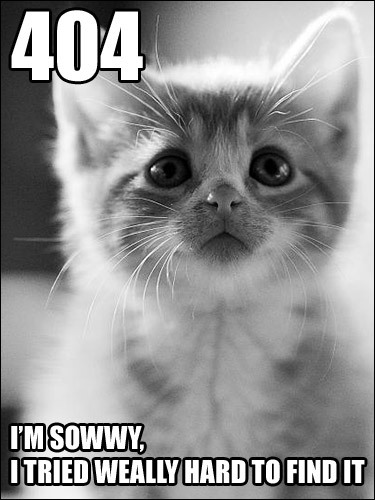 404 pages are the best way to lower search engine rankings and scare visitors away from your site. In many cases the content is still available on the site only the location changed. Tridion eliminates the number of broken links within your website if your content editors make correct use of component linking. Component linking makes it very easy (and tempting) to change the location of content within a website. Sorry, I was forced to post the above picture by Alvin. He wondered why I stopped posting and I think it is only fair to share with you my reason for my absence. Alvin suggested that I stopped posting because of a promotion and I have to admit: It sure feels like a promotion. I got a fancy new title, huge responsibilities a sizeable addition to my workload and very little extra pay. 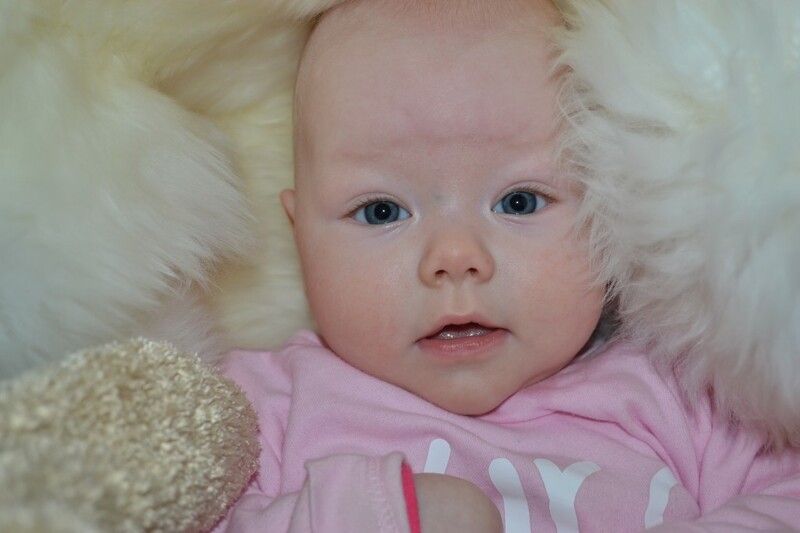 However when I look into those blue eyes I get the feeling it is all worth it and I hope you will forgive me for not posting. In any case the number of visits on my blog has doubled since last year. Which is a testimony to the success of SDL Tridion. To keep this blog relevant I hereby promise to resume posting. This post is a Response to “Rants on Tridion Implementations” which I ran into on my Sunday evening round of blog reading. In this post Nuno L rants about the burden of fixing broken Tridion implementations. We seem to be in the same business and I would like to share my perspective on this subject. I strongly diasgree with “my job is not always an easy or necessarily happy one”. In addition when I (please read the rant of Nuno first) walk into a project it means your Tridion Troubles are over. I love to fix things that are broken or find a solution to problems other people have given up on. To see despair turn to optimism and see smiles on the customers face always makes me feel happy with my job. Though I have to admit I find that the best part of fixing the impossible is the bragging rights afterwards. In the language debate I would like to make a stand for reduction in the number of languages/technologies needed to implement Tridion. The cost of maintaining different development environments alone should be enough reason to want to limit the number of languages and technologies.